I kicked off my school year spring break with a trip back home to Illinois with D. We saw both of our families. Dillon shot a wedding, and took off Monday so this weekend was extra long together. A good one to kick off the week before driving right back again for Easter later this week. Cinnamon Rolls- Donuts are forever my first love for breakfast, followed by Nutella crepes. 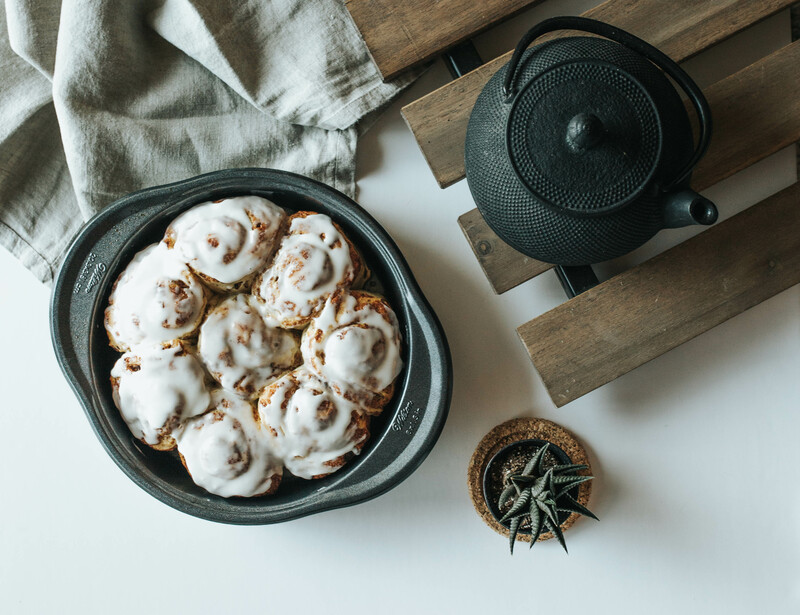 But I forget about those fresh-from-the-oven cinnamon rolls that make Sunday mornings so much sweeter. We’ve treated ourselves to these the past couple weekends, and I’m not complaining. Productivity- A bit before spring break, I was feeling really overwhelmed with school, which is actually unusual. I am always on it, but this is a classic case of spreading myself too thin. The week before break though, I finally felt like I had a handle on what needed to be done and how best to accomplish it. Posted some thoughts on productivity here. Video- Dill shot a wedding video for our friend’s sister. He enlisted the help of one of our other good friends, who has some great video experience. Video is a totally different animal, and I am proud of D for being up for the challenge. Can’t wait to share the final piece. March Madness- I am double excited after this weekend of basketball. I’ve got Kansas winning the whole thing- so praise be that they’ve advanced. And Loyola is still dancing, go Chicago! I always go into the tournament knowing next to nothing, but get so invested in the games and teams. And I love it. Staycation- Last spring break we were across the pond in Amsterdam and Paris. It was an incredible trip, but we’re happy to say we are laying low this year. Staycations are all too underrated. Holy Week- This week always puts things into perspective for me. Little reality check on priorities and what’s really important. Ready to welcome Easter and April and all the joys of spring.